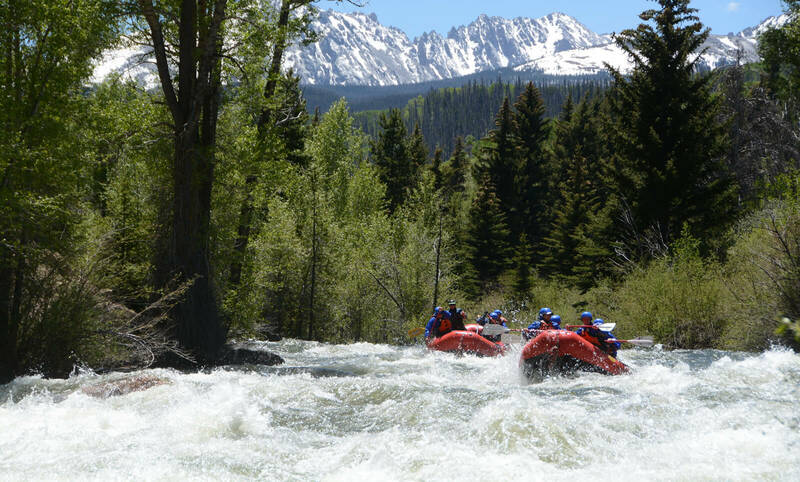 Performance Tours Rafting has been providing whitewater rafting trips in Breckenridge, CO since 1986. In the last 30+ years, we’ve had the pleasure of working with some of the best raft guides in Colorado! Though the whitewater rafting industry has a high turnover rate (perhaps it is the seasonal work and transient nature of river guides!) 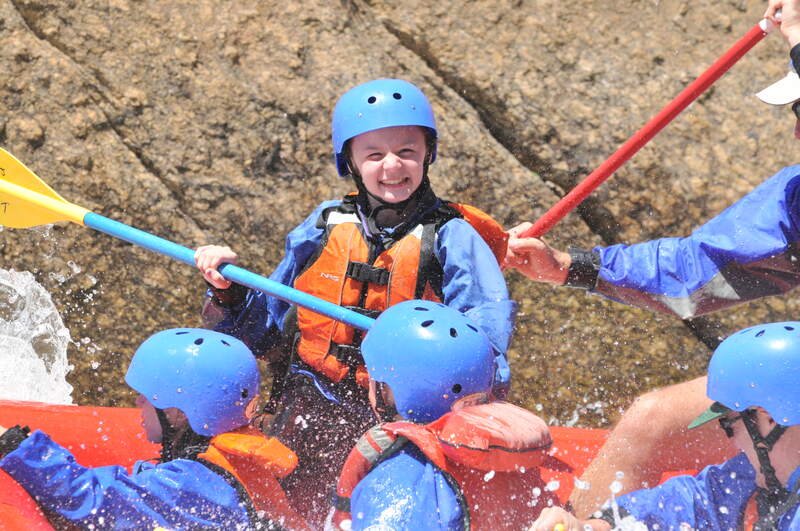 Performance Tours Rafting has retained the same guides and staff members for decades! We consider ourselves incredibly lucky to work with these folks every day, and we hope you enjoy their company on the river and in the office. Have you rafted with us before and recognize your guide? 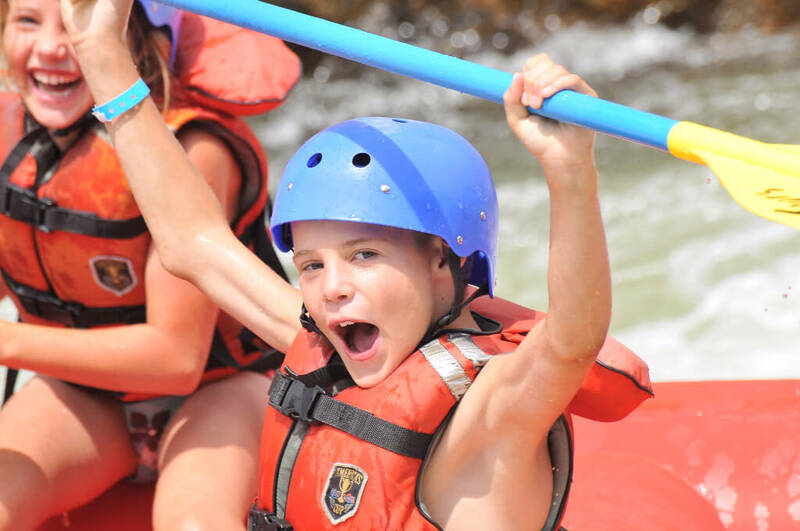 Feel free to make a guide request when you are booking your next whitewater rafting adventure! Jim is our Operations Manager and has been with PT for 27 years. He is originally from Bloomington, IN and when he’s not wrangling our team of guides he enjoys stand up paddle-boarding, running, and reading. For 8 years of his whitewater career, Jim was a full-time, year round raft guide, traveling to different rivers around the country. These days, Jim splits his off season time between skiing and working, while counting down the days until rafting season. Rocket has been a raft guide for 20 years, and was originally trained as a boatman in 2983 on the Upper Colorado and Browns Canyon. He resides year round in the Arkansas River Valley; Leadville in the winter and Buena Vista in the summer. Rocket has spent 10 years on San Juan Island, WA working at a wooden boat shipyard where he fixed and maintained boats up to 50′ long. In his free time, he works on his wooden riverboat and in the winter he grooms the slopes at Ski Cooper. 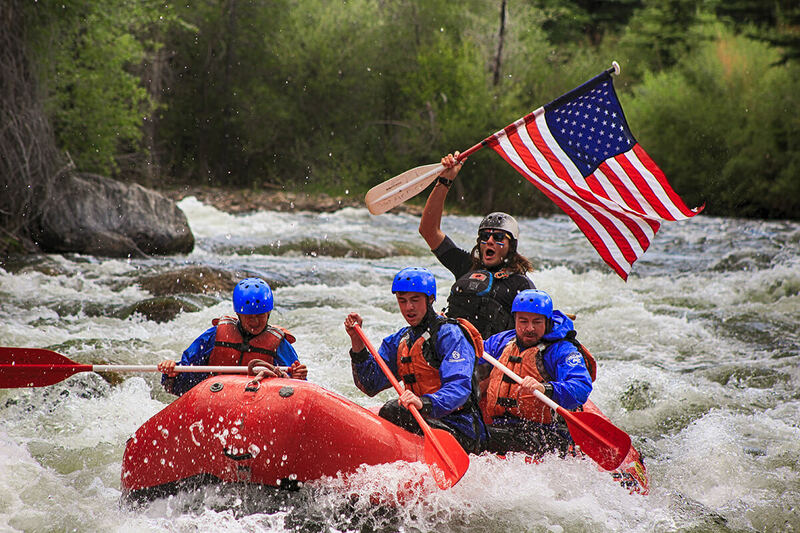 For 26 years, Billy H. has been bringing guests whitewater rafting in Colorado. He lives in Breckenridge, and spends his winters as a snowmaker and carpenter. For 17 years, John M. has been a whitewater rafting guide. Originally from Minneapolis, MN, John is used to cold winter climates, and has worked at the National ice Core laboratory as a Physical Science Technician in -36 temperates. During the winters, John is a snowmobile guide. Mauricio is originally from El Paso, TX and has been guiding with Performance Tours for 5 years. His special skills include speaking fluent Spanish, and in his free time he enjoys snowboarding, mountain biking and of course, whitewater rafting. In the winters, Mauricio works at a ski rental shop. For the last decade, Steve U. (a.k.a Useless) has been a whitewater raft guide for Performance Tours. He is a Colorado native, originally from Westminster, CO. In the winters, Steve prefers to hibernate with his dogs, biding his time until rafting season by watching fires and sunsets. Mo has been a raft guide for 8 years, and with Performance Tours for 6 of those years. She is from beautiful Buena Vista, CO and her hobbies include whitewater, mountains, socializing and traveling. She is passionate about music and has even sang at Carnegie Hall with her college choir. Her winter job changes every year, and she looks forward to returning to the banks of the Arkansas every summer. Ryan, a.k.a Charb has been a whitewater guide for 10 years, and this is his third season guiding with PT. He is originally from Savannah, GA and his favorite section of river is the Numbers on the Arkansas because of the continuous adrenaline. In the winter, he works as the Lead Lift Operator at Keystone Resort and you can usually find him snowboarding in Colorado or being a “modern nomad” — So far, he has traveled to 9 countries and 40 states. Jared has been a PT raft guide for 5 years. His special skills include being tall (6′ 4″) and his hobbies are kayaking, hiking with his dog, teaching and sailing. He is originally from Golden, CO and spends his winter patiently waiting for the snow to melt. Harrison has 10 years of experience as a whitewater raft guide. He is originally from Boone, NC and is the 8th son of 9 children – all of which are named in alphabetical order. In the winter, he is in sports television production. In his free time, he enjoys kayaking, reading and chirping. Chris has been guiding with PT for 8 years. He is originally from Atlanta, GA and enjoys playing guitar, violin, reading, mountain biking, snowboarding and like most raft guide, deep thinking. In the winter, he bides his time with various jobs, working as a liftie, barista and a snowmobile guide. Jeremy has 4 years of guiding experience with Performance Tours Rafting. He is originally from Houston, TX and his hobbies include reading, poetry, disc golf and horseshoes. In the winter, he is a jeweler and gem dealer. DJ is originally from Chicago, IL and has been a whitewater rafting guide for 4 years. In his free time he enjoys playing the guitar and exploring. He likes to travel in the winter. 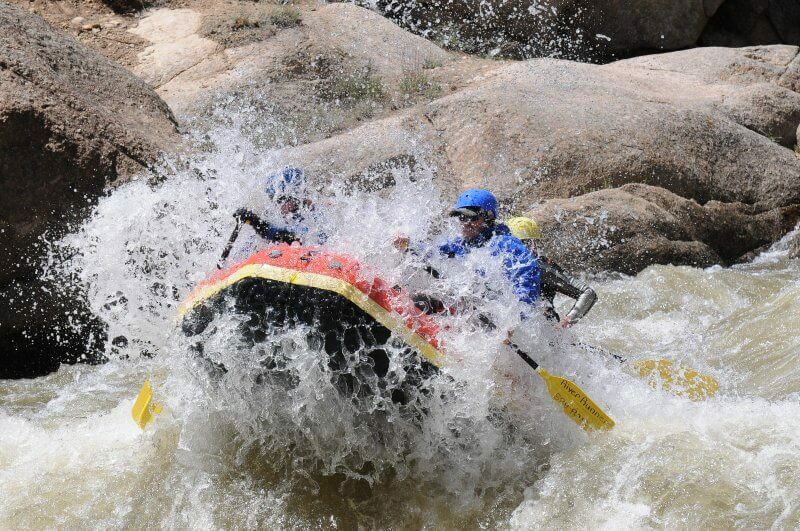 This will be Keen’s 3rd summer as a whitewater rafting guide with Performance Tours. He is originally from Tryon, NC and is a snowboard instructor in the winter. He enjoys climbing, skateboarding, snowboarding, drawing and reading. Felicity has 7 years of experience as a raft guide, 3 of which have been with Performance Tours. She is originally from Asheville, NC and her hobbies are rafting (duh! ), hula hooping, reading and singing. In the winter she is a server and enjoys snowboarding. Tommy is originally from Scipio Center, NY and has been a whitewater raft guide for 3 years. His hobbies include backpacking, swimming, eating and sitting and he has an affinity for belly shirts. In the winter, he tries to relax as much as possible and work when he has to. Natalie is a 22-year-old Colorado native, originally from Conifer. She has been a PT raft guide for 3 years and her favorite section of river is in the Grand Canyon. In the winters, she snowboards as much as possible and is a dog walker and server. Bethany is originally from Lake St. Louis, MO but has lived in Breckenridge for the past 10 years. She has been a raft guide with PT since 2015 and she lives for overnight whitewater rafting trips. She has spent the past winter in Australia exploring and has worked at the Children’s Museum in Breckenridge. 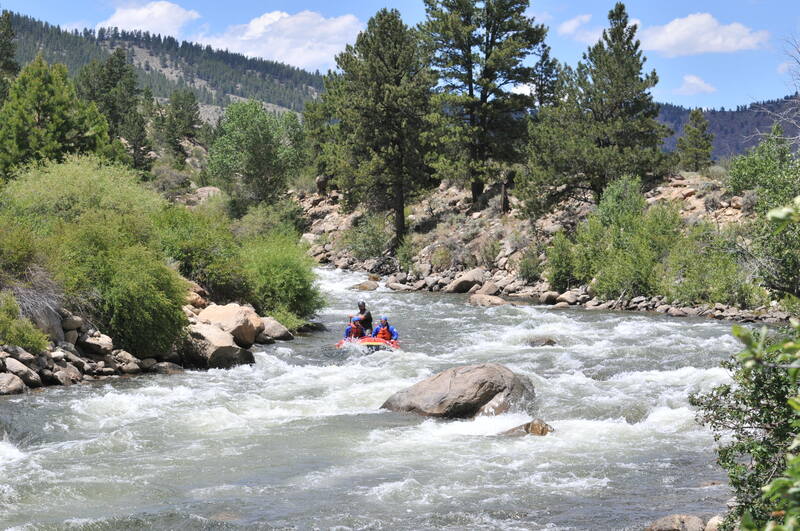 Her favorite stretch of river to raft with PT guests is the Staircase rapid in Browns Canyon.